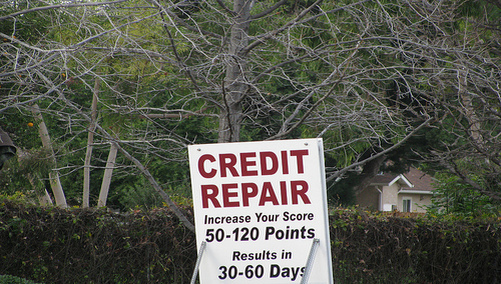 As expected, all the ongoing mortgage crisis is hitting Americans’ credit scores, according to credit scoring company VantageScore Solutions. The company, which competes with the ever-powerful creator of the Fico score, told the LA Times millions of consumers have seen their credit scores fall from once elite standings as a result. For example, only 15.4 percent of Americans, or about 33.3 million, fall in the super-prime credit rung, down from 17.2 percent, or 36.6 million about a year ago. Meanwhile, more credit scores are sliding into the worst credit category, with 39.8 million consumers sharing that distinction, up from 34.4 million back in late 2006. VantageScore researchers said most of these changes have been caused by late payments on mortgages, serious delinquencies, short sales and foreclosures. Sarah Davies, senior vice president of analytics, said a borrower with an 862 credit score who executes a short sale could see a credit score ding of 120 to 130 points. A similar borrower who strategically defaults may experience a credit score hit of 140 to 150 points, plus a foreclosure record on their credit report for as long as seven years. Conversely, loan modifications that roll late mortgage payments and related penalties into the principal loan amount can actually increase borrowers’ credit scores marginally. The Vantage credit score, which is now being used by a small number of banks and mortgage lenders, has a range from 501 to 990.